The Commonwealth Scientific and Industrial Research Organisation (CSIRO) and the Energy Networks Association (ENA) have partnered to deliver an Electricity Network Transformation Roadmap. The Roadmap will transform the electricity network industry over the next ten years to unlock additional value for customers and accommodate the rapid adoption of new technologies. “The Roadmap is designed to identify the preferred transition which the electricity network industry must make in the next decade, to be ready to support better customer outcomes under a diverse range of long-term energy scenarios,” reads the Roadmap overview. The Roadmap development process will facilitate co-operation between existing and new market participants across the energy supply chain, including consumer representatives, service and technology providers, policy makers, regulators, and academia. 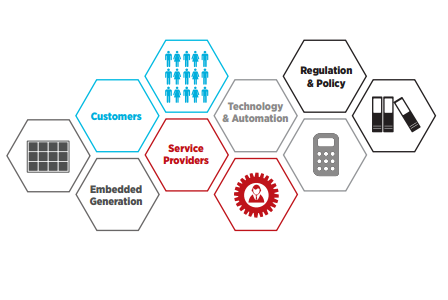 Next Generation Platform, examining new models for market operation and automation. maximising collaboration and shared learning to focus on key knowledge gaps and barriers impeding network transformation.